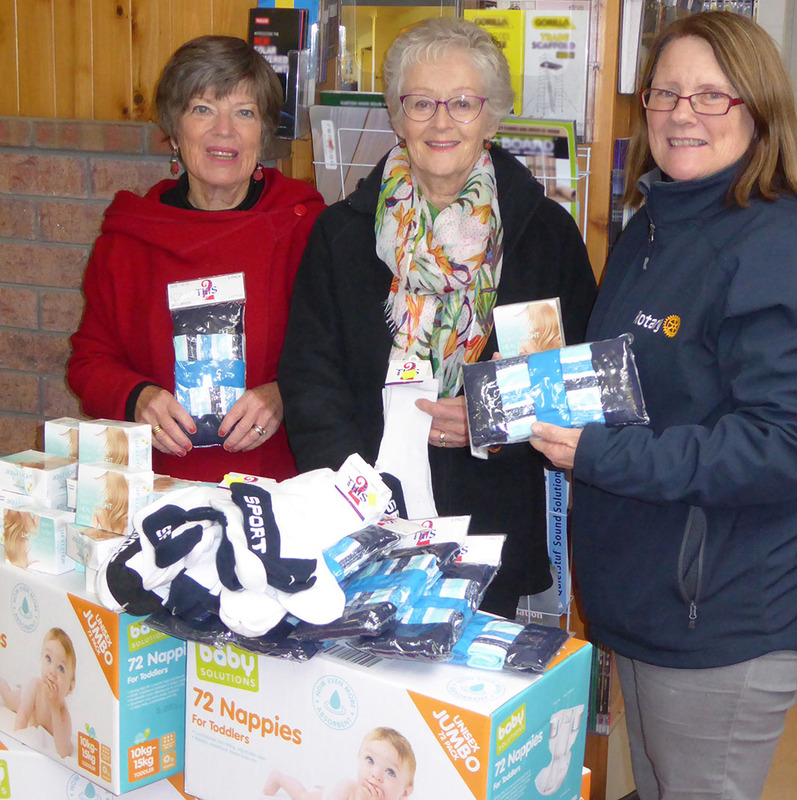 Almost 300 nappies and dozens of knickers, socks and shampoos were handed over to Foster Hope at Tawa ITM this week by Tawa Rotary President Denise Garcia (pictured right) and Secretary Elizabeth Sutton (left). These were some of the items purchased with money raised at a recent theatre event and the Tawa Rotary Business Breakfast. Mary Howarth (centre), representing Foster Hope, said the organisation was extremely grateful for these much-needed items. They would go into the backpacks of essentials for children going into foster care. Currently, Foster Hope is keen to replenish its stocks of coloured pencils, tampons, bibs, face cloths, shampoo and conditioner, face wash and nappy rash cream. If you’re able to help out with any of these, please drop them off at Tawa Rotary’s collection point at ITM on Main Rd. Supporting children in foster care through Foster Hope NZ has been a continuing project for Tawa Rotary. For background see more. Original generation time 1.4887 seconds. Cache Loaded in: 0.0451 seconds.